Real Food for Kids, a nonprofit focused on elevating school food, hosted their 7th Annual Culinary Challenge this past Saturday at Hayfield Secondary School in Alexandria. 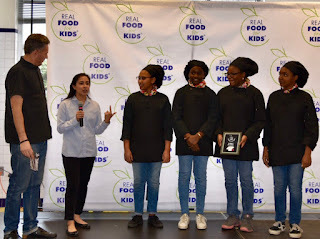 Eleven student teams from Fairfax, Prince William, Arlington, Loudoun, and Montgomery County high schools and middle schools competed to create a school lunch dish that meets USDA guidelines for school meals. The winner will be part of the school lunch menu next year in the five participating school districts. 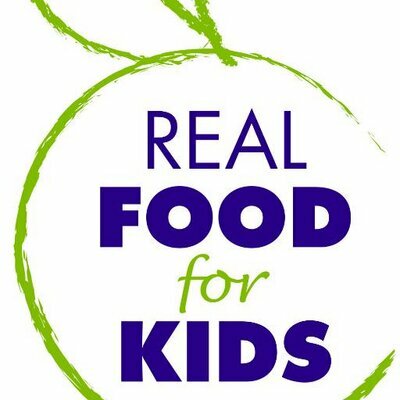 An additional 13 teams created breakfast and smart snack options. 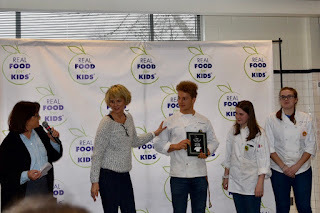 This year's judging panel included celebrity chefs Spike Mendelsohn & Cathal Armstrong and Bonnie Benwick, deputy food editor of the Washington Post. 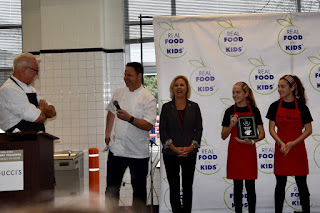 Chef Ype Von Hengst of Silver Diner served as the student advocate for the 11 teams presenting school lunch dishes and was a judge of the 13 teams creating breakfast and smart snack options. More than 500 attendees came to the free event and sampled the students creations. First Place (see top photo): Takoma Park Middle School in Montgomery County, Md. for their Winter Bowl. Judges Spike Mendelsohn (left) and Diana Camacho (second from left) presented the award. Second Place: (see above photo): Franklin Middle School in Fairfax. 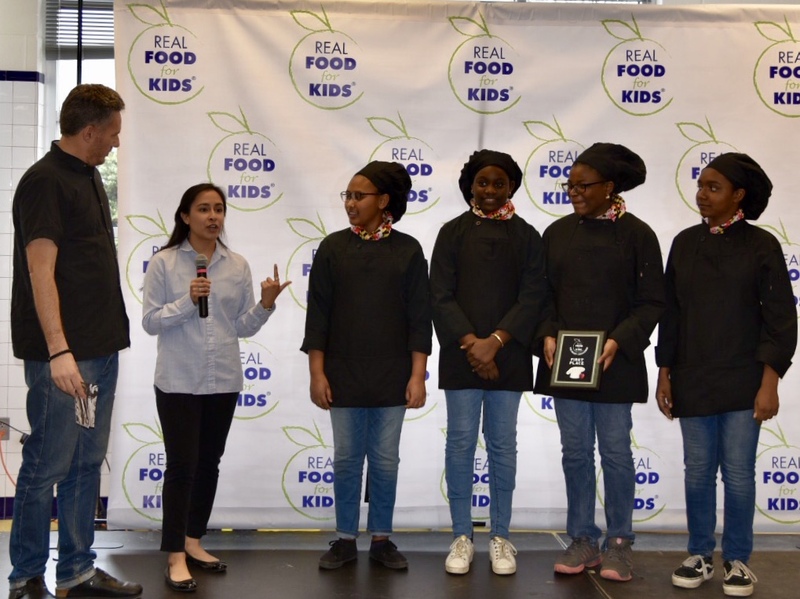 One of the youngest teams, they created Peruvian Chicken with Cilantro-Lime Crema, Crunchy Kale & Sweet Potatoes, Spiced Pears. Judges Cathal Armstrong (second from left) and Sandy Curwood presented the award. Exec Chef Ype Von Hengst (far left) emceed the event. Third Place: (see above photo): Chantilly Academy in Fairfax for their Peruvian Chicken with Cilantro Lime Cream Sauce, Roasted Vegetables & Quinoa, Roasted Pineapple. Judges Bonnie Benwick (left) and Cynthia Hormel (second from left) presented the award.